Three women’s lives converge around the century-old mystery of a shipwreck. There’s Sophia, a reclusive author who retreated from the world after a tragic loss, Claire, a young journalist who’s reluctantly returned to her home town, and Josephine, a passenger from the ill-fated ship. As they discover the truth about lost love and buried secrets, each woman finds hope, healing, and strength to face the future. 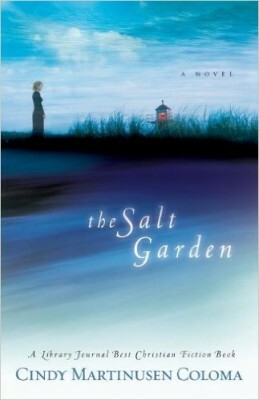 The lovely title of this Christian novel hints at its themes of shipwreck, youth lost and romance by the sea. In the waters beyond a small town on the Pacific coast, a shipwreck is being salvaged that will disclose secrets from the past. Martinusen (North of Tomorrow) tells her story from the viewpoints of three women. Claire O’Rourke is a San Francisco reporter recently returned to her small hometown of Harper’s Bay for a short visit, but a contrived plot device leaves her back home for good and looking for work at The Tidal Post, a local newspaper. Her path soon intersects with that of Sophia Fleming, a 70-something reclusive author whom Claire has admired since childhood. When a salt-damaged book washes ashore, some long-buried secrets are illuminated through the journal entries of Josephine Vanderook, a passenger on an ill-fated ship. As the story unfolds, Martinusen introduces enjoyable characters: “Cap Charlie” is an old salt who makes lattes and espresso below decks; Claire’s potential love interest, Griffin Anderson, is a scrap junk sculptor whose work is displayed on town roofs. Despite some good descriptions, Martinusen often overwrites (“glaze drips likes a lazy yawn onto the table”) and the pacing, mired in description and wordiness, drags. The city-girl-returns-to-her-hometown theme has been done to death in CBA fiction, and the somewhat unfocused story never really takes off. However, Martinusen has potential, and despite the problems in this story, her talent shines through. There are places within us we do not often share…until our hearts find connection in extraordinary ways. Claire O’Rourke–a 24-year-old writer dreaming of a glowing career in the literary world. Sophia Fleming–an aging recluse whose painful past has kept her hidden away for decades. Josephine Vanderook–a woman long dead, whose journal holds the key to a terrible secret. For nearly one hundred years, a mystery has surrounded a shipwreck on the rocky coast of Orion Point. The shipbuilder’s wife, Josephine Vanderook, survived but her husband didn’t. Josephine’s memoir will unlock more than the mystery of that fateful night–her words of lost love will shape the lives of an elderly woman who has lost hope in tomorrow and a young woman who struggles to find her way.Three women whose lives converge on Orion Point. As they discover the truth about lost love and buried secrets, they find new hope and healing…and strength to face the future.